A sign language interpreter refers to the personwho helps deaf individuals and hearing impaired understand the spoken languageby converting it into sign language. 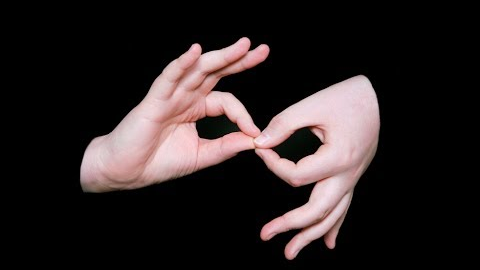 Signlanguage service is needed in schools, hospitals, offices and court roomsto name a few. A sign language interpreter should understand the subject in a proper way and needs to accurately translate the information to the recipient. There are many cases where the interpreter will have to do research ahead of time such as if there is technical or complicated information that needs to be interpreted. It is seen that he or she will need to refer to encyclopedias, reference materials and dictionaries with the motive to be as accurate as possible. Body language and facial expressions communicate our messages and thoughts. Interpreters must read and interpret non-verbal forms of communication to replicate them in proper form so that hearing impaired can understand the message. Sign language interpreters are medium. This means that they are not involved in the conversation but rather transmit what is said by the speaker. The crucial information discussed during appointments should not be revealed by an interpreter outside of the appointment. Interpreters work in education, legal, corporateand medical settings. The demand for interpreters is always present. Hence,well-rounded professional experience is of utmost importance for an interpreter.Homeland Language Services is one of the best companies that has yearsof experience in offering certified signlanguage services in Boston. It has an experienced team that leaves nostone unturned in delivering qualitative work. Hence, you can choose thisservice provider without any worry.